This easy delicata squash recipe requires just a handful of ingredients and a hot oven. 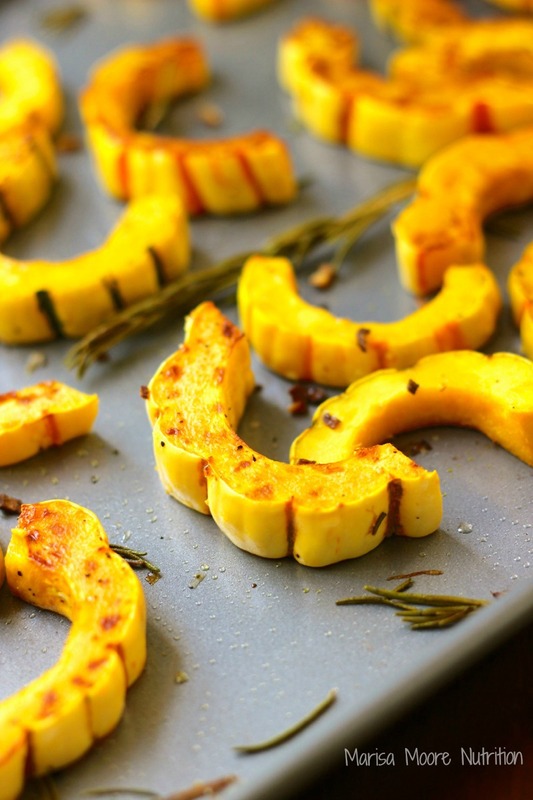 With all of the flavors and colors of fall, this Rosemary Roasted Delicata Squash recipe will be ready in no time! Last fall, I cooked with delicata squash for the first time and fell in love. I adore the color, the sweet flavor, and smooth texture. I especially like that it’s one of the easiest winter squashes to prepare. It’s easy-ish to cut into and you can actually eat the skin. 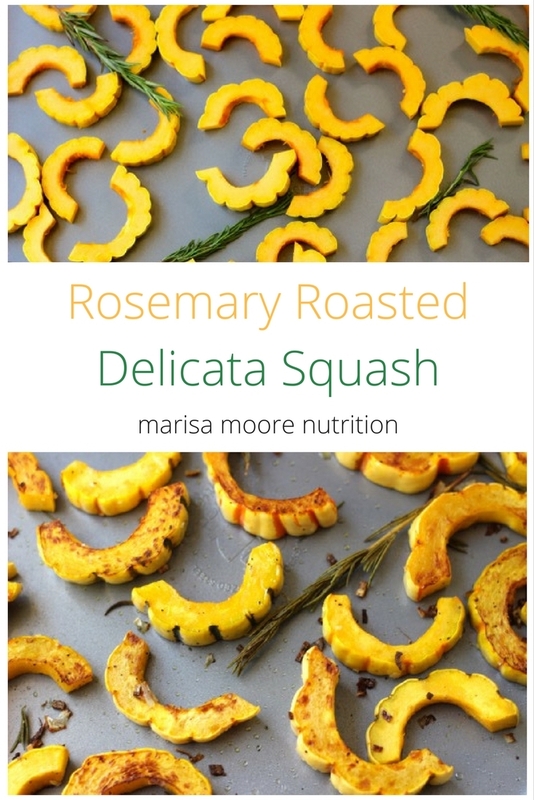 I originally posted this Rosemary Roasted Delicata Squash recipe over on the KitchenAid blog along with everything you want to know about the health and nutrition benefits of delicata squash. If you try this or any of my recipes, I’d love to see it. Tag me on Twitter or Instagram and let’s chat! This easy delicata squash recipe requires just a handful of ingredients and a hot oven. With all the flavors and colors of fall, this Rosemary Roasted Delicata Squash recipe is ready in no time! Preheat oven to 425°F. 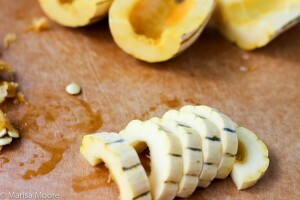 Wash, slice and scoop the seeds from the delicata squash. Cut the halves into 1-inch strips. Add the cut squash to a sheet pan leaving plenty of space between the pieces. Drizzle with olive oil and sprinkle with the shallots, rosemary, salt and pepper. Toss to coat. « Pumpkin Spice Overload? I Got You Covered! 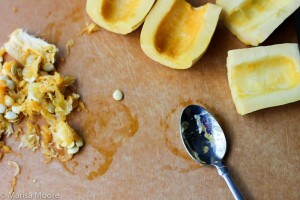 I love roasted squash and this recipe will definitely be a must make ASAP. I love the ingredient list and how your photos scream "deliciously prepared" Thank goodness I have found a site with a registered dietician that I can count on to help me with healthy food that is fabulous. 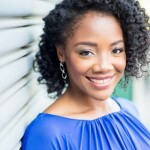 Awesome blog! I've never tried cooking with delicata squash before is it a bit like butternut? This looks great and I love how the way the ribs look when the squash is sliced. 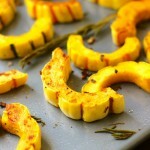 I love delicata squash to for all the same reasons as you! So easy to cook and cut! I love how simple this recipe is, easy for a weeknight side dish! Ohhh, this looks like the perfect recipe to get into the fall spirit. I love squash, and the addition of rosemary sounds delicious. Can't wait to try this!